Ever wondered why we have so much stuff in our lives today compared to when we were children, whether they be materialistic items or what we force down our mouths? Ever wondered how many more shops and outlets now exist to sell them? What is making us consume so much compared with years gone by? How were our lives when we did not have these items? As seen on GATV we have been trained to consume. Our coaches being the educational systems, monetary systems, advertising, media monopolies, political decisions, ect. ect. with the game subsequently being played out through lifestyle habits we fall into as a consequence. The moment of truth occurred when we shifted from buying items that we needed to purchasing items that we desired. This fascinating shift occurred in the US in 1920´s & was very carefully orchestrated by those in power. Things really took off in the 60`s & 70`s when the credit cards was invented to allow us to buy our desires even if we could not afford them. Edward Bernays, the nephew of Sigmund Freud created the industry of ‘Public Relations’ and played an instrumental role in changing the perception we have of ourselves and the world. It was at the same time in the 20`s that the character ethic of the population shifted towards the personality ethic explained in the self development section. The Century of the Self (Trailer) is an award winning BBC documentary series. It focuses on how Sigmund Freud, Anna Freud, and Edward Bernays influenced the way corporations and governments have analyzed,‭ dealt with, and controlled ‬people. 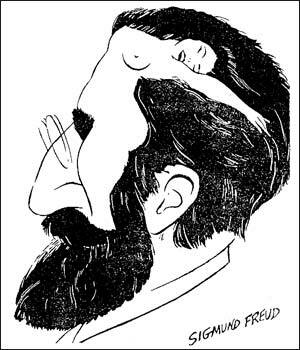 Sigmund Freud, the founder of psychoanalysis, changed the perception of the human mind and its workings. His influence on the twentieth century is generally considered profound if not worrying . The series describes the propaganda that Western governments and corporations have utilised stemming from Freud’s theories. Freud claimed at the turn of the last century that his findings showed that human nature had primitive sexual and aggressive forces hidden deep inside the minds of all human beings, forces that if not controlled led individuals and societies to chaos and destruction. With this ‘TRUTH’ as a basis those in power used Frauds theories to try and control the ‘dangerous crowd’ in an age of mass democracy. The documentory describes how Freud and his nephew Edward Bernays, were the first to use psychological techniques in public relations along with Freud’s daughter Anna Freud, a pioneer of child psychology. The Century of the Self asks deep questions about the roots and methods of modern consumerism, representative democracy, commodification and its implications. It also questions the modern way we see ourselves, the attitudes to fashion and superficiality. The business and political world uses psychological techniques to read, create and fulfill our desires, to make their products or speeches as pleasing as possible to us. Curtis raises the question of the intentions and roots of this fact. These BBC documentaries explain very clearly the creation of the consumer armies of the 21st Century, GATV subsequently explains the consequent detrimental effects this has had on our own physical and mental health and wealth, the quality of our, and our families lives as well as the exploitation of our poorer ‘relatives’, the destruction of our resources and planet earth. That is to say the effect on our short, medium and long term futures. Do you believe like Freud we have primitive sexual and aggressive forces hidden deep inside our minds which if not controlled will lead to chaos and destruction or do you, like myself believe that it is such repression by those in power based on such a belief that eventually leads to rebellious behavior and subsequent chaos? The century of the self part 1(4).mp4 from Ayon on Vimeo. The century of the self part 2(4).mp4 from Ayon on Vimeo. The Century of The Self Part 3 of 4 from Kia Ora Media Group on Vimeo. 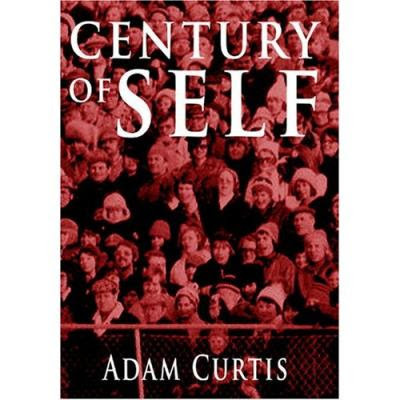 The Century of the Self from Robert Scott Curliss on Vimeo. The Century Of The Self – Part 4 from AJ Mekky on Vimeo.